El primer estudio fue realizado en 1957 por científicos reunidos en Huntsville, Alabama. Ese estudio dio lugar al Proyecto “Alternativa 3″. Otro estudio fue realizado por el Grupo empresarial multibillonario más poderoso : El Club de Roma en 1968 con el fin de determinar los Límites del Crecimiento. El resultado del estudio fue que la civilización tal como la conocemos se colapsaría poco después del año 2000, y los recursos naturales escasearían para las potencias hegemónicas, inclusive el mismo sistema capitalista estaría en peligro, a menos que la población se redujera gravemente, por algún medio. Varias Agencias Top Secret hicieron recomendaciones a la elite gobernante por el Dr. Aurelio Peccei Director del Club de Roma, en ese entonces. Milton William Cooper nació el 6 de mayo de 1943 y murió el 5 de noviembre de 2001. Militar y alto oficial de las Fuerzas Aéreas de Estados Unidos USAF. Se graduó en 1961 en el Instituto de Yamato, en Japón, trabajo en proyectos clasificados pilotando aviones de combate y de prueba, estuvo en la Armada y el Pentágono en 1965. Trabajó también como oficial de alto rango en la Inteligencia Naval de los Estados Unidos , la Inteligencia Naval Militar de EE.UU, (Office of Naval Intelligence ONI) división administrativa que forma parte de la Corporación de Inteligencia de los Estados Unidos, Coronel de ejército respetado, fue un (Briefing Team Member) de la Inteligencia de los Estados Unidos. Tuvo acceso a información clasificada de la CIA y la NSA. Fue condecorado con la Medalla de Honor de la Armada y la Medalla del Elogio Naval V de combate reconocido como héroe de guerra. Se retiró en 1974. By: Milton William Cooper ( Alto Officer U.S. Naval Intelligence ) . Official top of the U.S. Naval Intelligence ( ONI Office of Naval Intelligence ) administrative division that is part of the Corporation of the United States Intelligence Col. Milton W. Cooper, revealed that HIV AIDS was developed in biological facilities military base Fort Detrick in 1972 by the Pentagon as part of Project MK- NAOMI , following a direct executive order and in compliance with a global agenda established by the State Department . During the conference I held in Las Vegas Nevada U.S., I announced a few things about HIV disease , which have kept close to me in my chest. 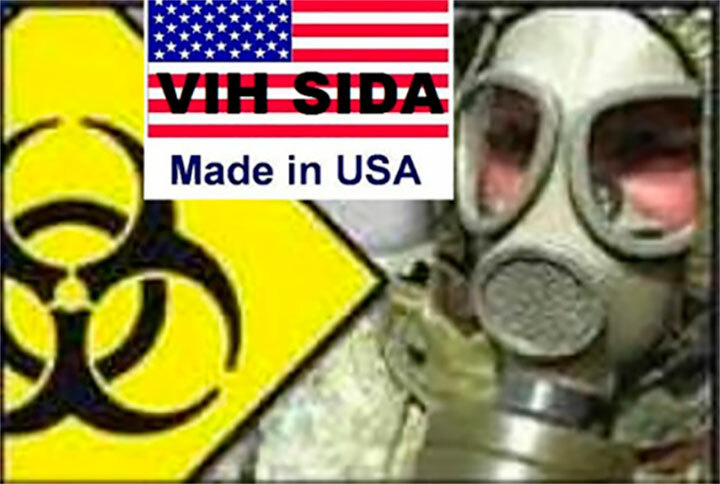 I revealed that HIV AIDS was created by the U.S. military laboratories to eliminate unnecessary items in the society and the vast population of the Third World, while enrolled in Naval Security and Intelligence (ONI ) . I mentioned this in my article ” The Secret Government . ” Now may I publish other information and clarified that government and its intelligence agencies developed the disease and the cure , they remain in the strictest confidence. The first study by scientists meeting in Huntsville , Alabama was made in 1957. This study resulted in the project ” Alternative 3 ” . 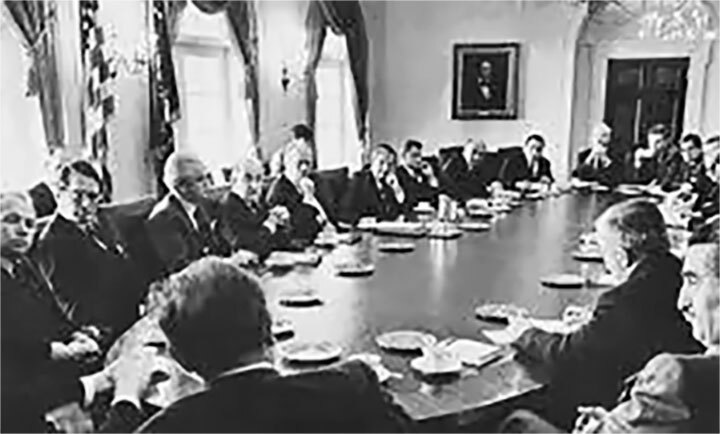 Another study was conducted by the most powerful business group multibillion : The Club of Rome in 1968 with the aim of determining the Limits to Growth . The result of the study was that civilization as we know it would collapse shortly after the year 2000 , and natural resources become scarce for the hegemonic powers , including the capitalist system itself would be in danger unless the population was seriously reduced, for some medium. 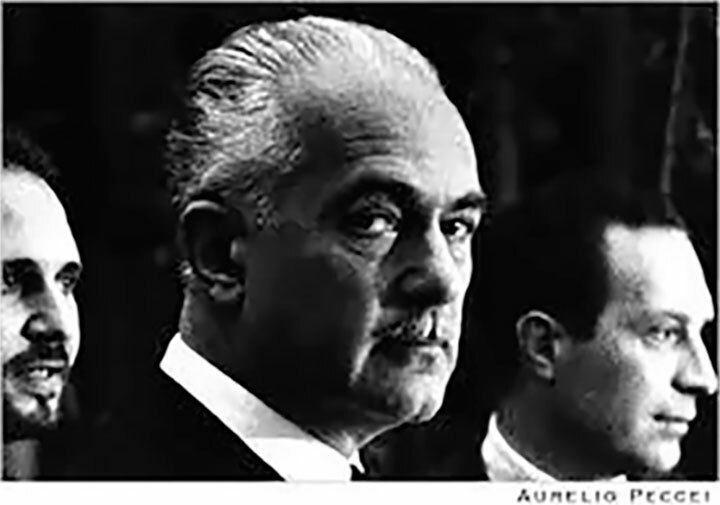 Several Top Secret Agencies made ​​recommendations to the ruling elite by Dr. Aurelio Peccei Director of Club of Rome at the time. The main recommendation was the development of an almost invisible undetectable microbe which would attack the auto immune system and thus make the development of a vaccine immediately impossible. Orders were given to develop the microbe and to develop a cure and prophylactic . The microbe could be used against the general population and introduced by vaccine administered by WHO World Health Organization and health agencies inland . Prophylactic use was to be used by the ruling elite. The cure will be administered to the survivors when they decide that enough people have died and see fit . Then it will be announced as that was recently developed . This plan was called Global 2000 . 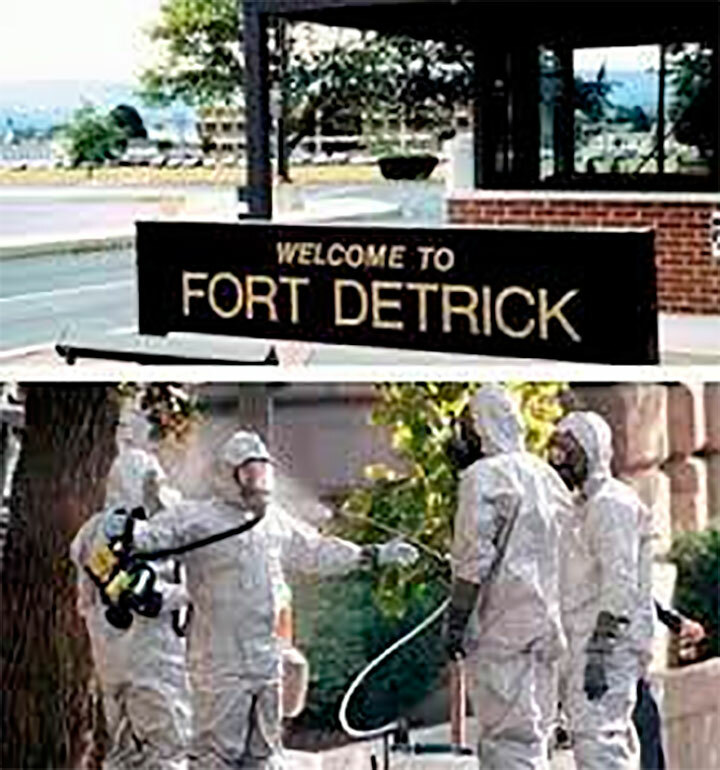 The secret project was carried out in the military base at Fort Detrick Maryland, where it was developed and perfected . Since much of the population would be decimated the ruling elite decided to also direct the agent to “undesirable elements of society ” for extermination. The specific objectives were Hispanic , African black populations , the poor , continents with large population and basically the large population of the Third World , this elite call Garbage City . The military development project name that HIV AIDS is MK- NAOMI . The African continent was initially purposely infected with the pathogen through the smallpox vaccine in 1977. The poor in the U.S. 1978 was infected with the hepatitis B vaccine through the Centers for Disease Control and the Blood Center of New York. Now you have the whole story, which was hidden from the media. The name of the report is confidential ” Limits to Growth ” A REPORT FOR THE CLUB OF ROME, the PROJECT ON DIFFICULT SITUATION OF HUMANITY . In April 1968 , the study began in the Accademia dei Lincei in Rome , Italy. They met in the research of Dr. Aurelio Peccei . Secret recommendations of the results of the study were made ​​by Dr. Aurelio Peccei , who pledged not even use the prophylactic and not to take the cure if the microbe was established in him and if he contracted the disease by accident. A team of scientists at MIT , Massachusetts Institute of Technology (MIT by the initials of its name in English, Massachusetts Institute of Technology) located in Cambridge , Massachusetts (USA) , was involved in the project with the Whitaker College of Health Sciences and Technology. ” Not to sound overdramatic , but I can only conclude from the information that is available to me as Secretary- General , that the Members of the United Nations have perhaps ten years in which to subordinate their ancient quarrels and launch a global partnership for stop the arms race, in order to alleviate the population explosion, and to provide the necessary impetus to development efforts . It was based on these recommendations to the decision to develop and release this pathogen particularly on Third World societies , especially where lie in the wealth and natural resources and so useful , for the first world was made. MK- NAOMI was developed by the Special Operations Division (SOD ) scientists at Fort Detrick , Maryland under the supervision of the CIA Central Intelligence Agency MI6 U.S. and England. A reference to MK- NAOMI project can be found in ” Intelligence Community ” by Fain et al, Bowker, 1977. That this information is released to the world with the hope that some nation or organization has the courage and resources to end this global project of planetary mass depopulation, whose perpetrators could be accused mass murder and crimes against humanity . Bilderberg , Club of Rome, the Trilateral Commission ( TC ) and the Council on Foreign Relations (CFR ) , all institutions Masonic Group are in complete control of most of the world have declared war against the people in general all free nations , who do not think like them . We have to stop them at all costs, and if they see that their plans are not fulfilled as they wish , are able to run other even more serious plans against our sovereignty , freedom and democracy in our countries. They are not our gods to decide who lives or who dies. Given this confirmation and U.S. authorities now have a duty, not only moral ethics but all mankind to compensate all nations and their sick, for the immense amount of millions of human beings killed and even infected with the deadly pathogen , and nations the legal right to bring the law assists those responsible for such a tremendous run global genocide and that they be tried in international law for crimes against humanity and demand the immediate release of the antidote or inoculant. AUTHOR BIOGRAPHY OF MILTON WILLIAM COOPER – . Milton William Cooper was born on May 6, 1943 and died on November 5, 2001 . Military and senior officer of the United States Air Force USAF . He graduated in 1961 at the Institute of Yamato in Japan, working on classified projects piloting fighter planes and test , was in the Navy and the Pentagon in 1965. Well as official Worked high ranking Naval Intelligence of the United States the U.S. Military Naval Intelligence ( ONI Office of Naval Intelligence ) administrative division that is part of the Corporation of the United States Intelligence , respected army Colonel , was a ( Briefing Team Member) of the Intelligence of the United USA . He had access to classified information from the CIA and the NSA. He was awarded the Medal of Honor and the Navy Commendation Medal Naval Combat V recognized as a war hero . He retired in 1974.